Introduced in 1950 by the German automaker Volkswagen as its second car model, VW bus or camper is a forward control panel van. 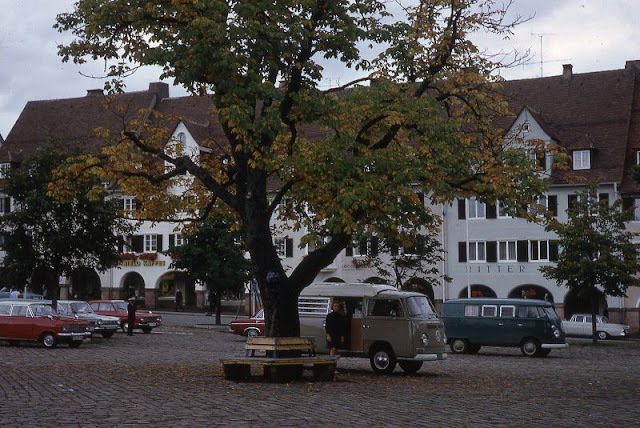 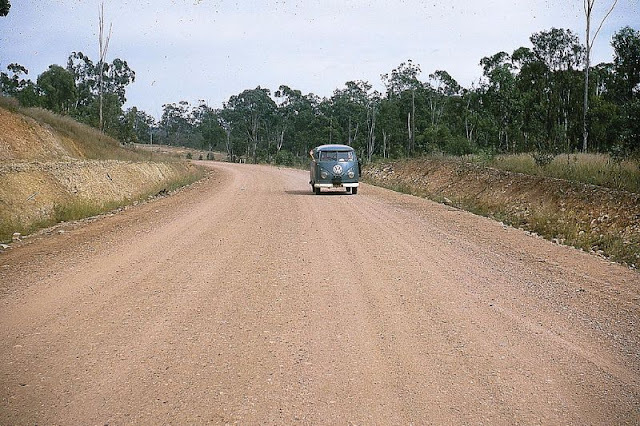 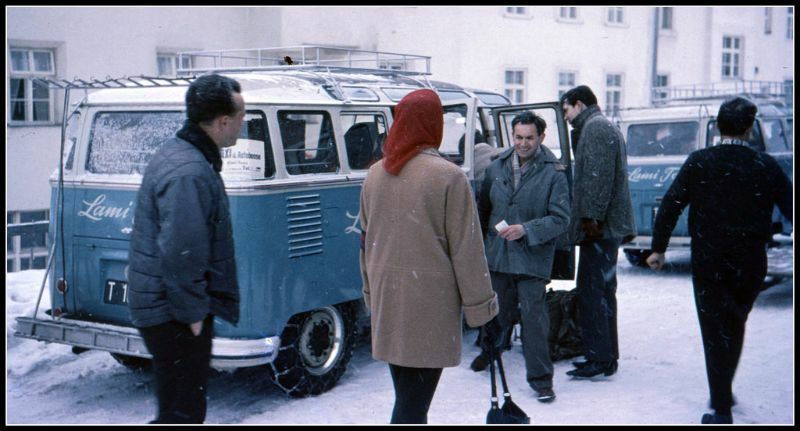 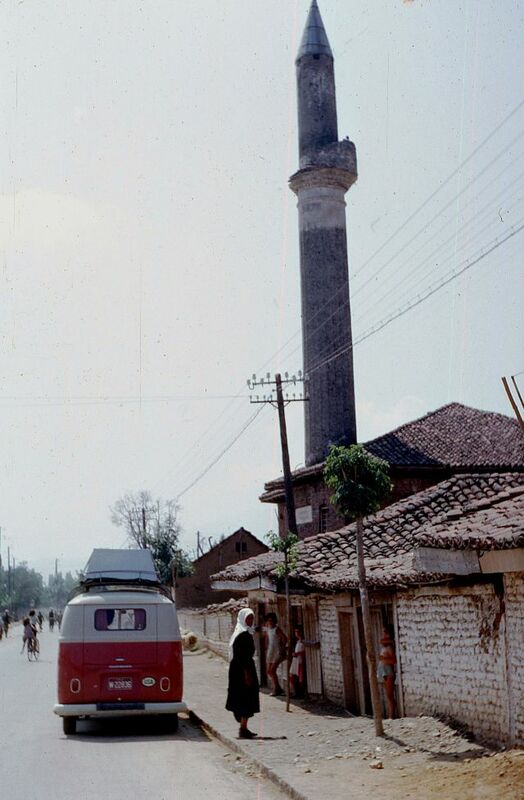 It was named the Volkswagen Type 2, known officially (depending on body type) as the Transporter, Kombi. 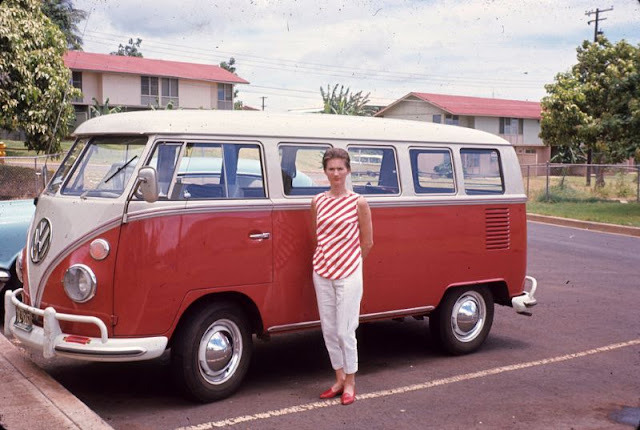 Like the Beetle, the van has received numerous nicknames worldwide, including the "microbus", "minibus", and, because of its popularity during the counterculture movement of the 1960s, Hippie van/wagon, and still remains iconic for many hippies today. 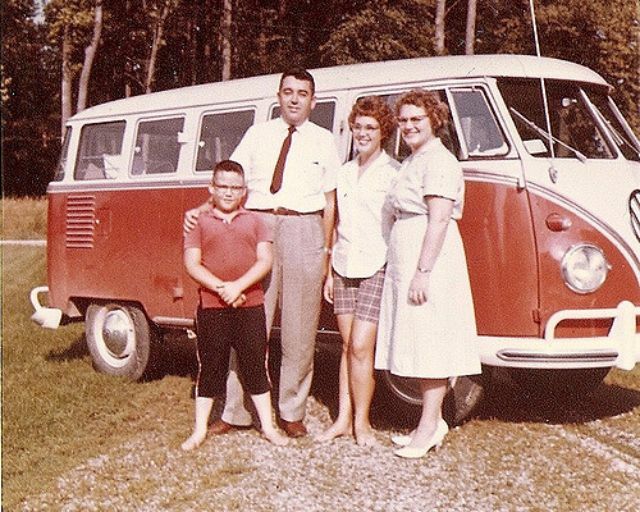 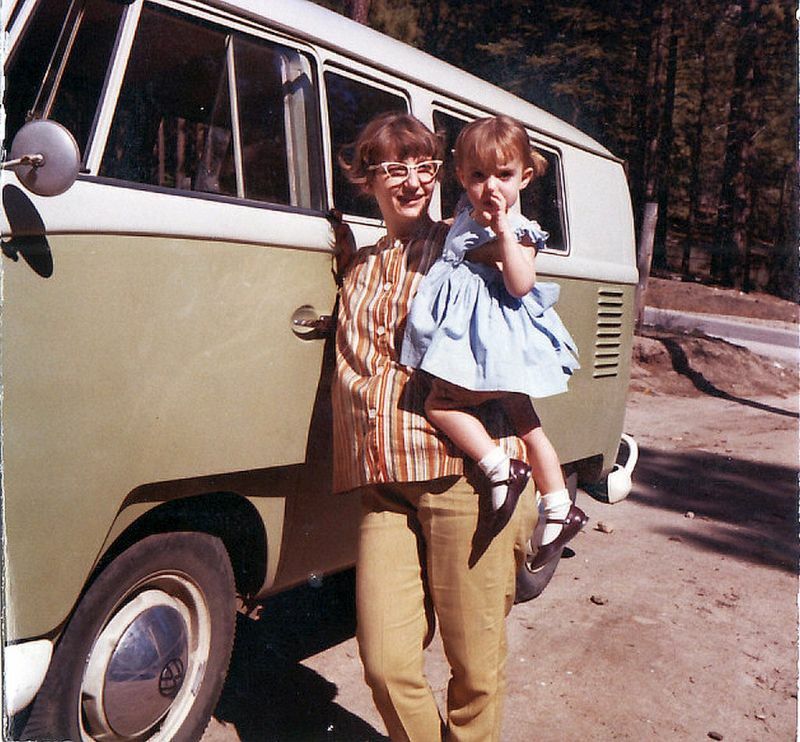 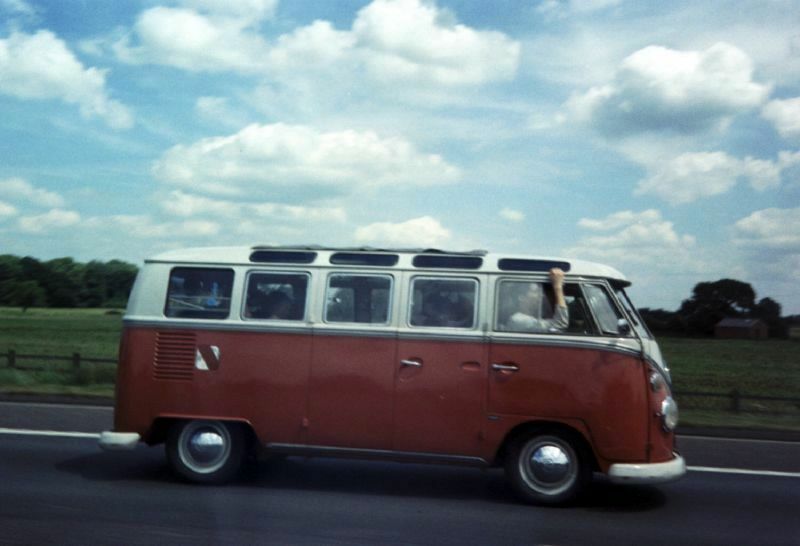 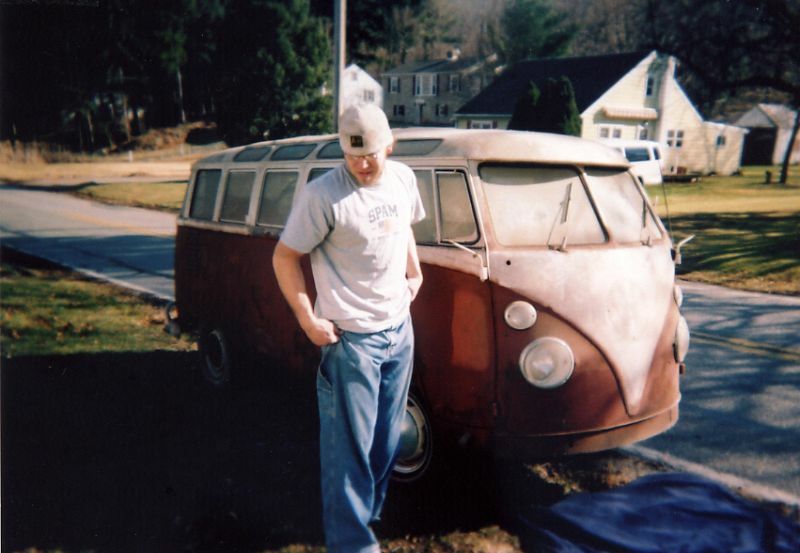 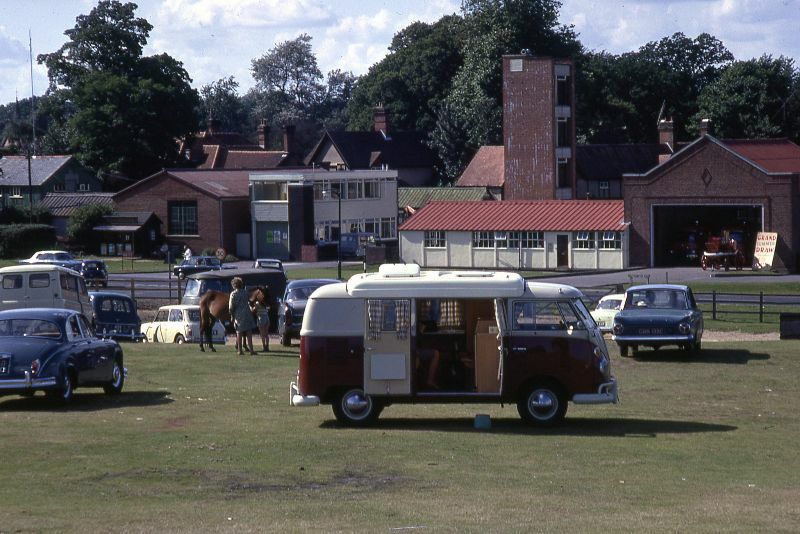 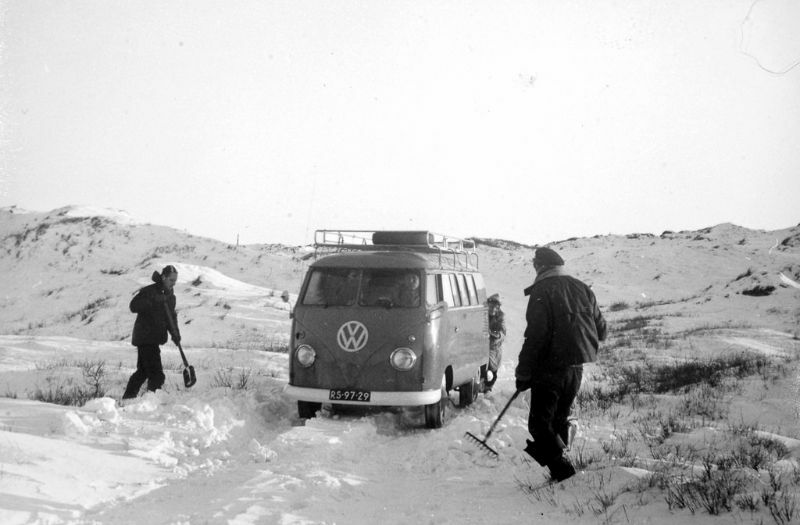 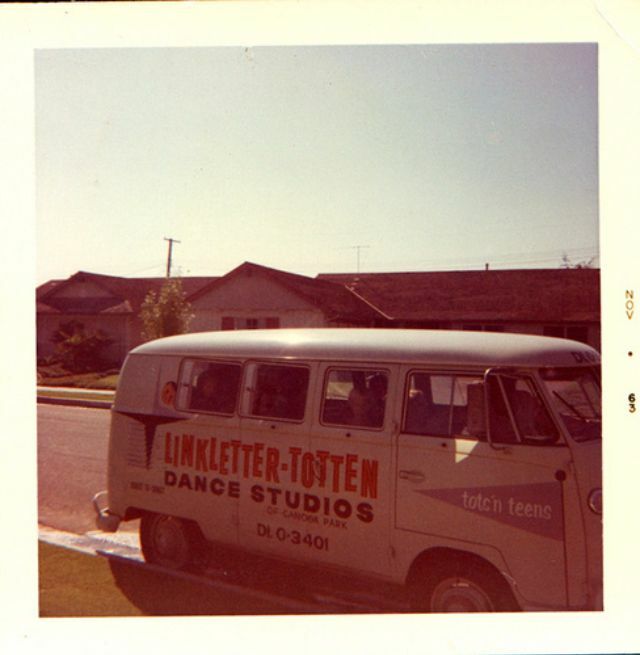 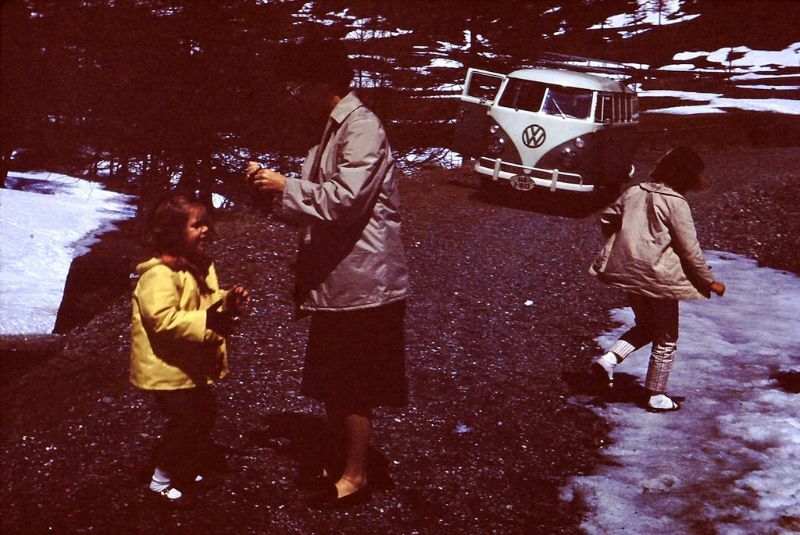 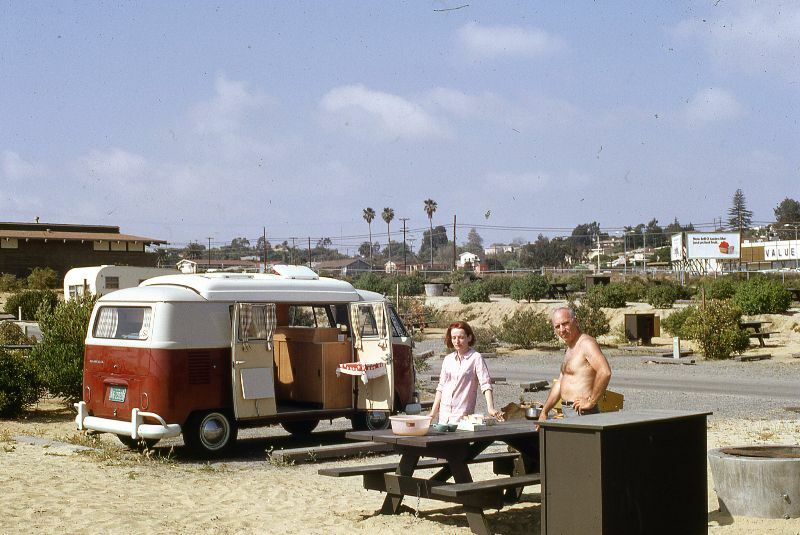 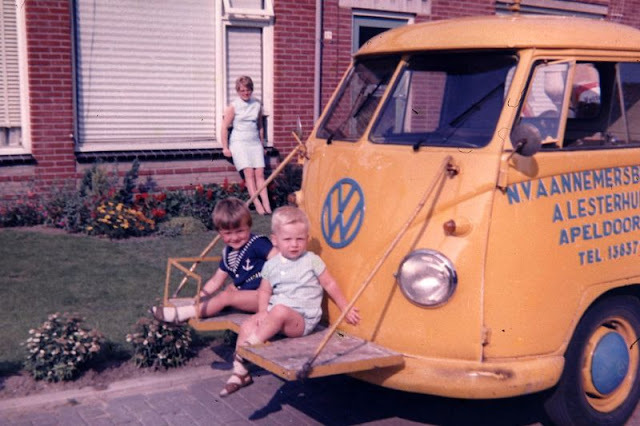 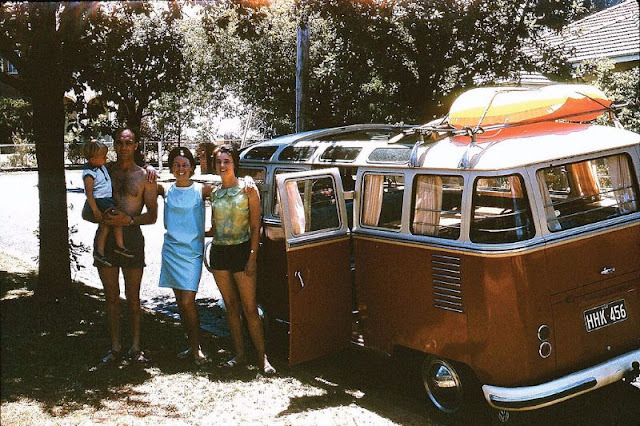 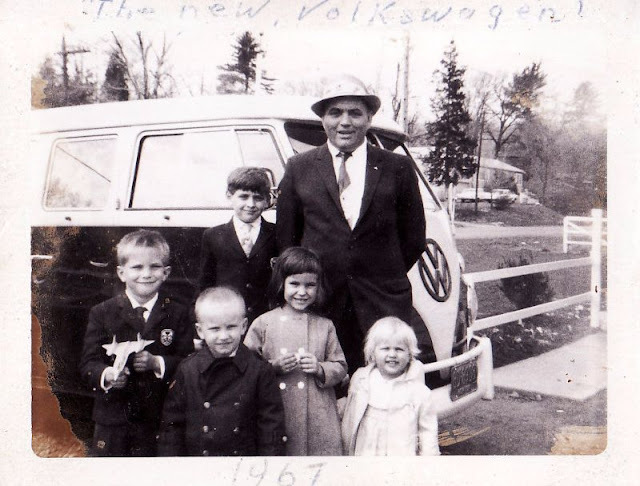 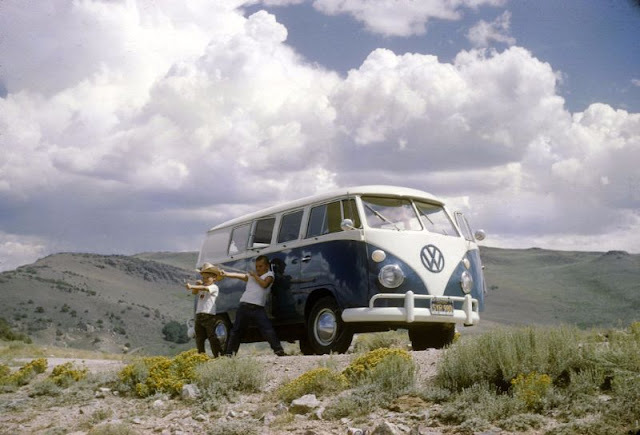 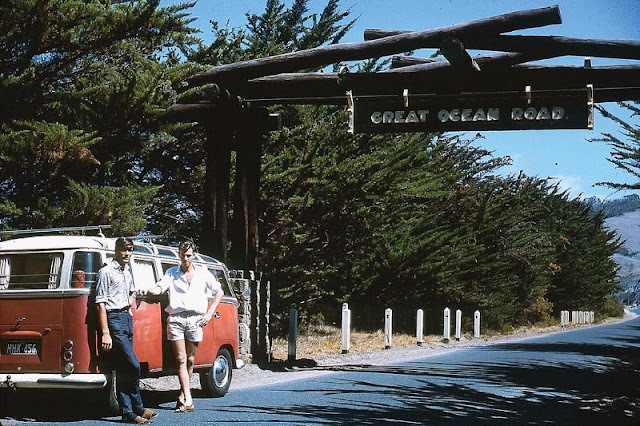 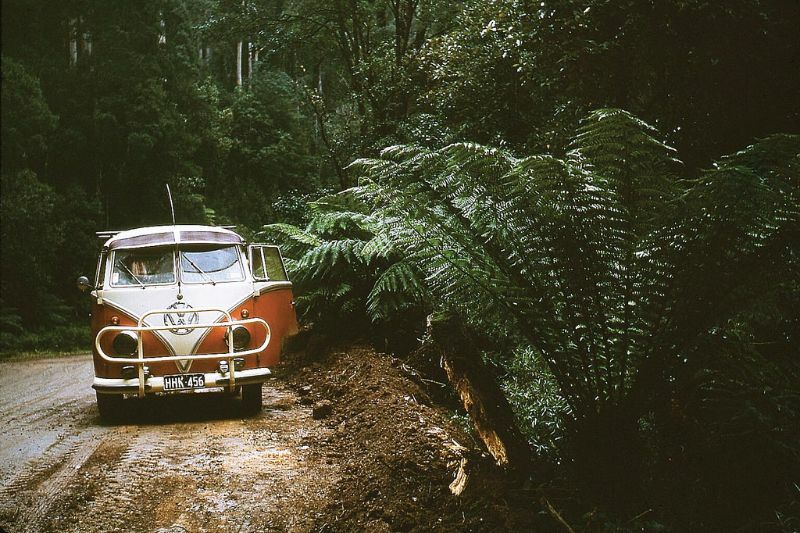 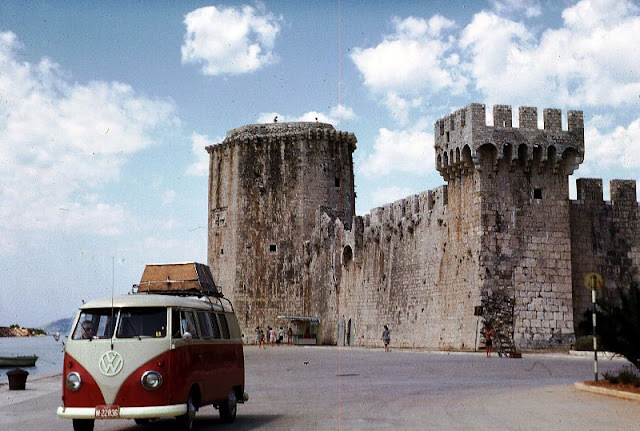 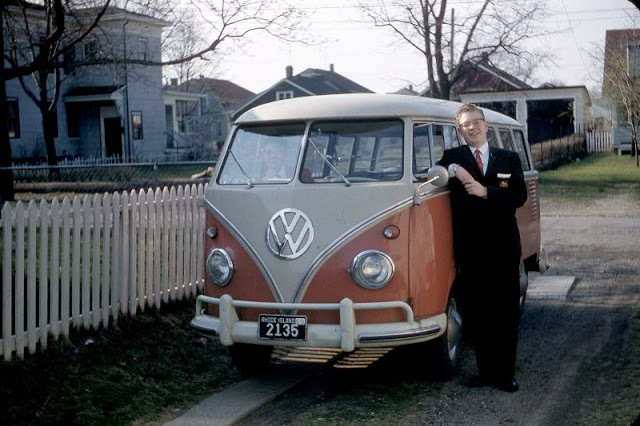 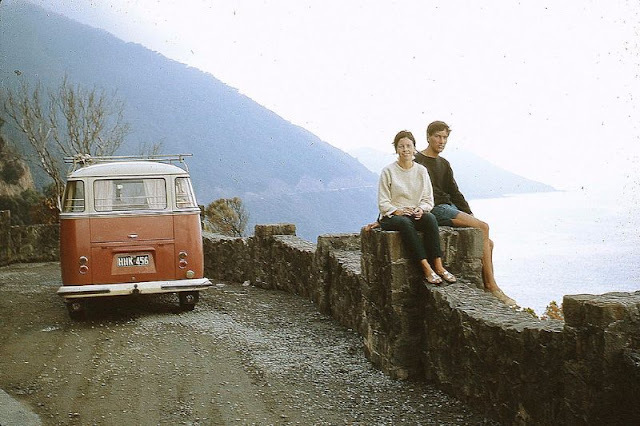 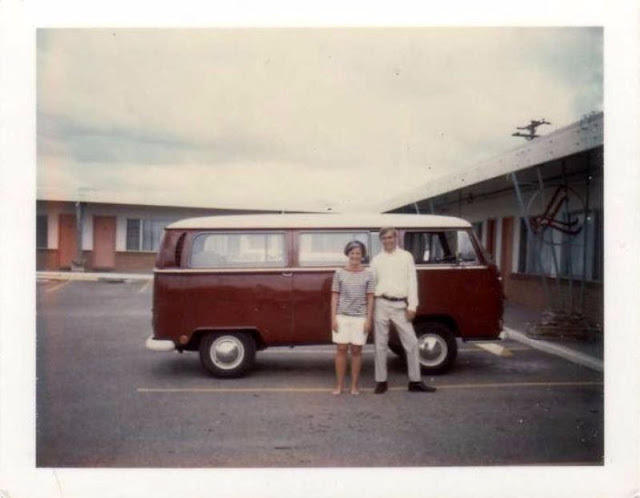 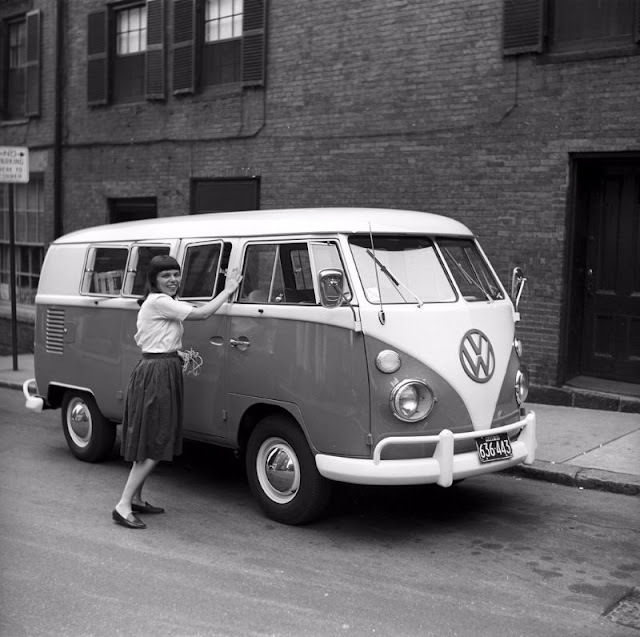 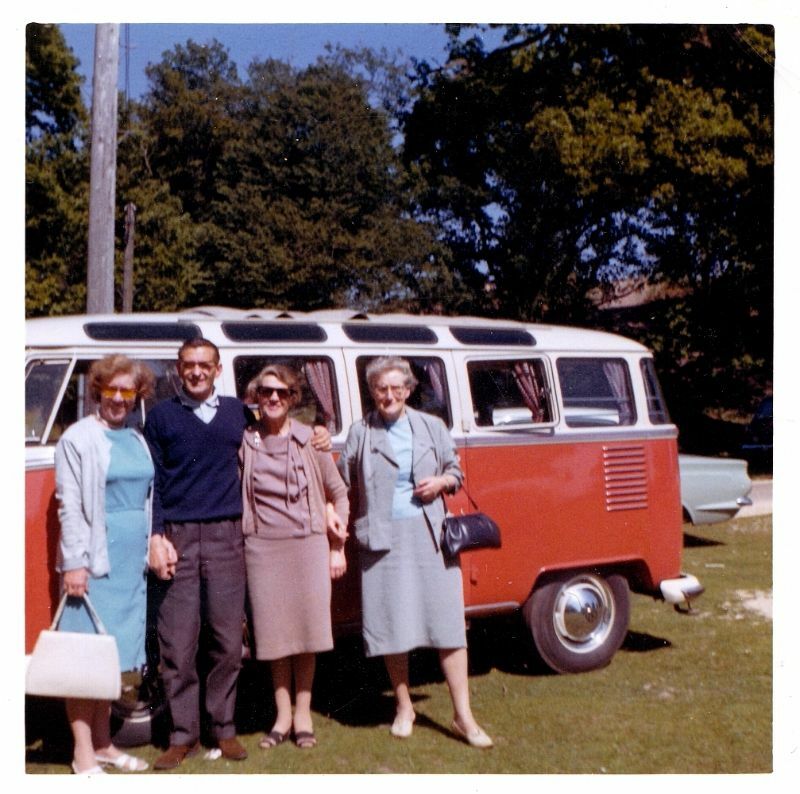 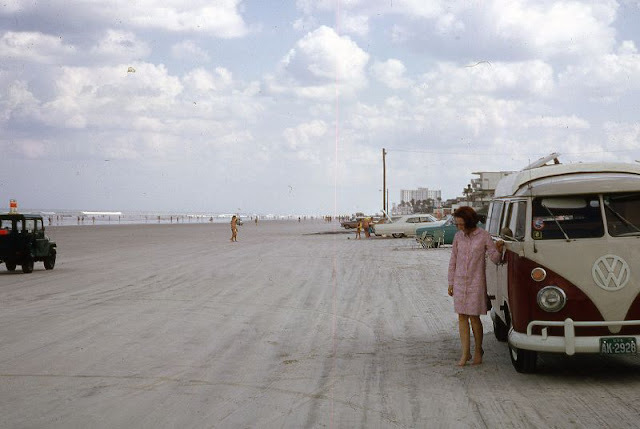 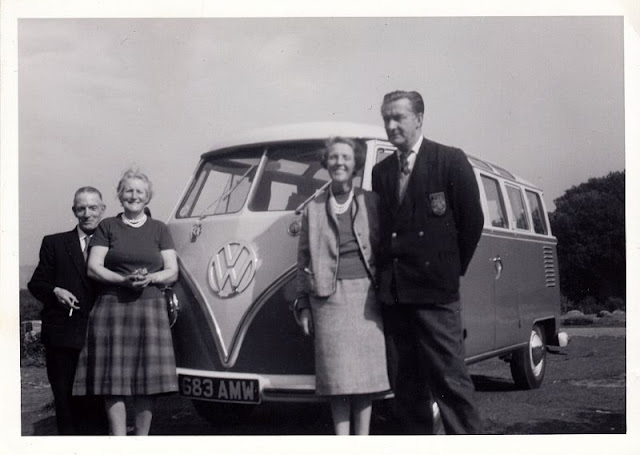 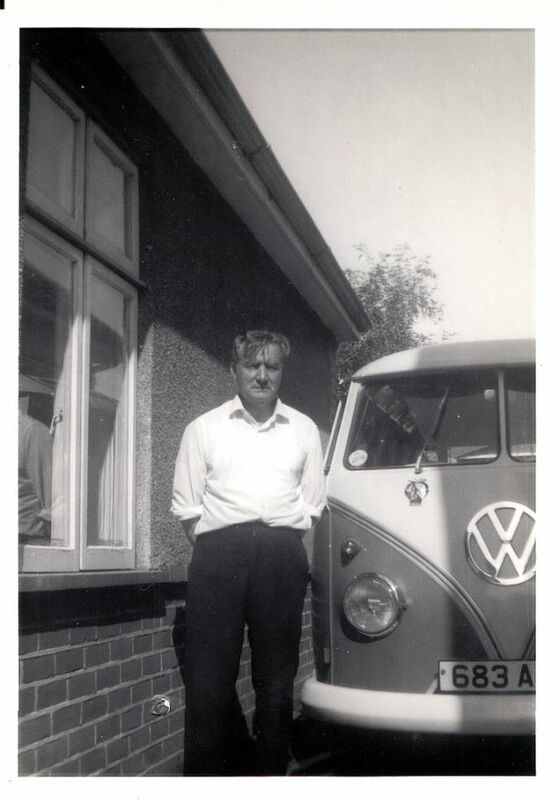 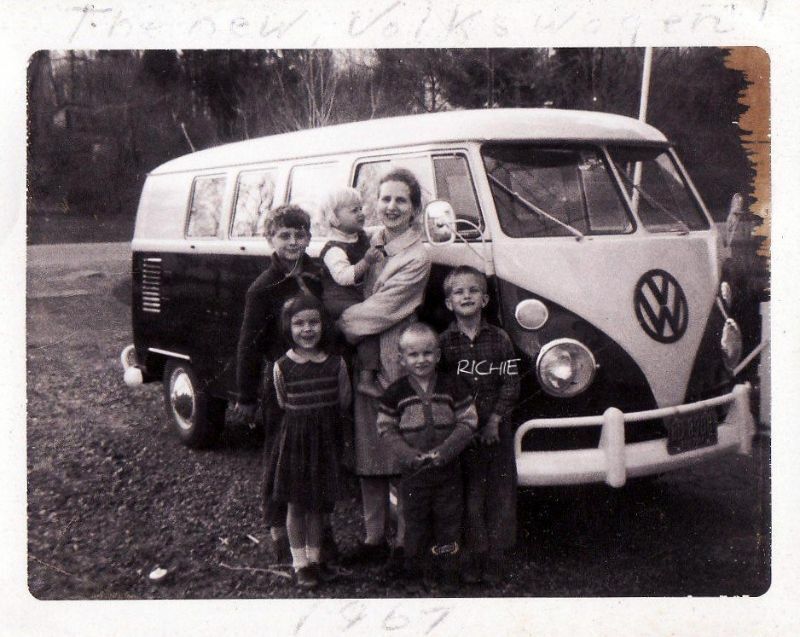 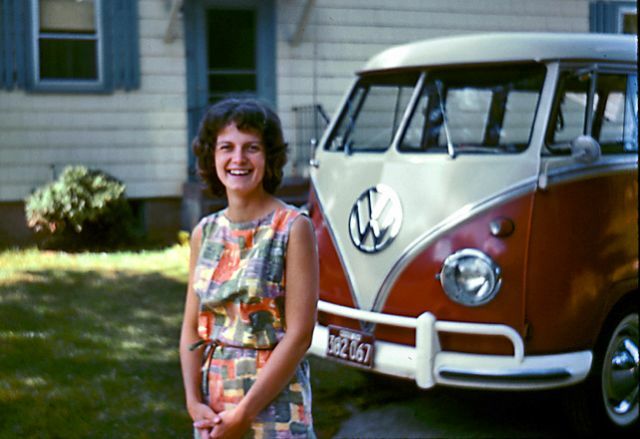 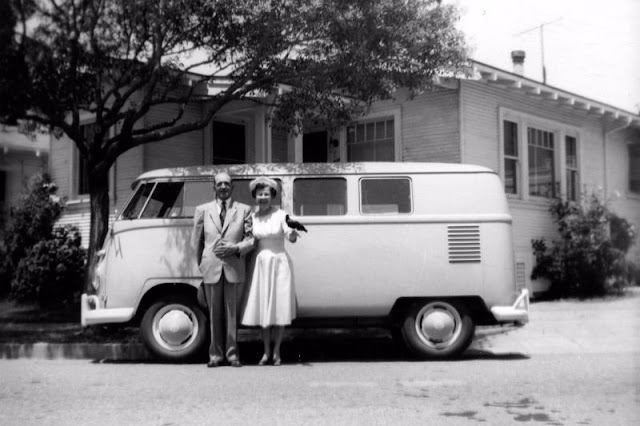 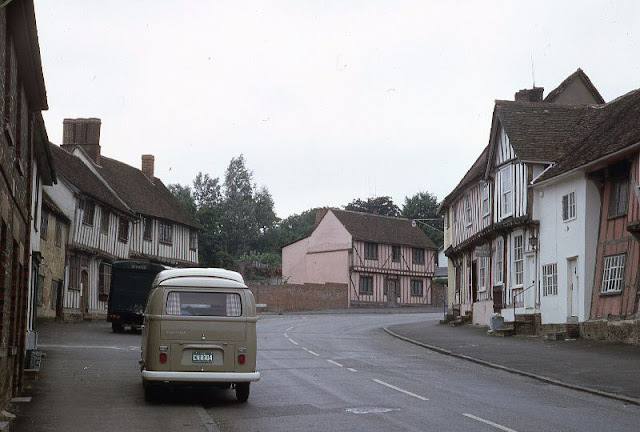 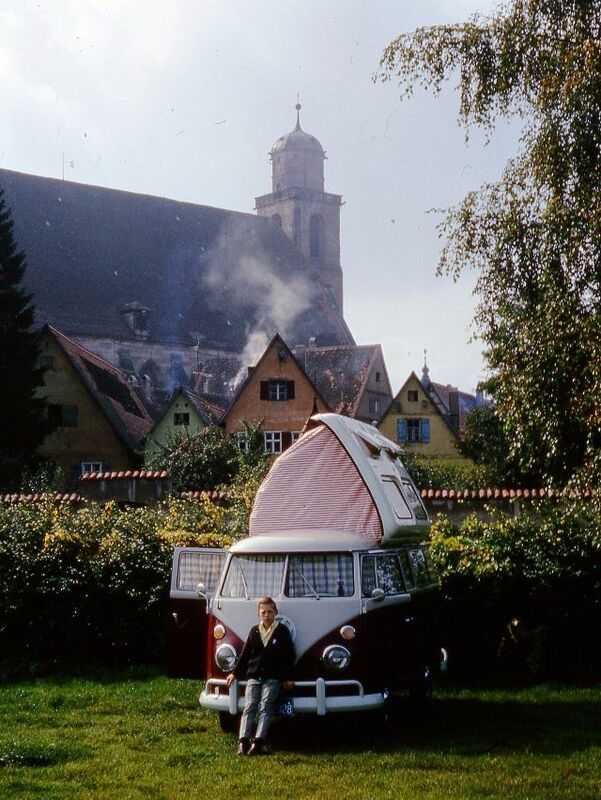 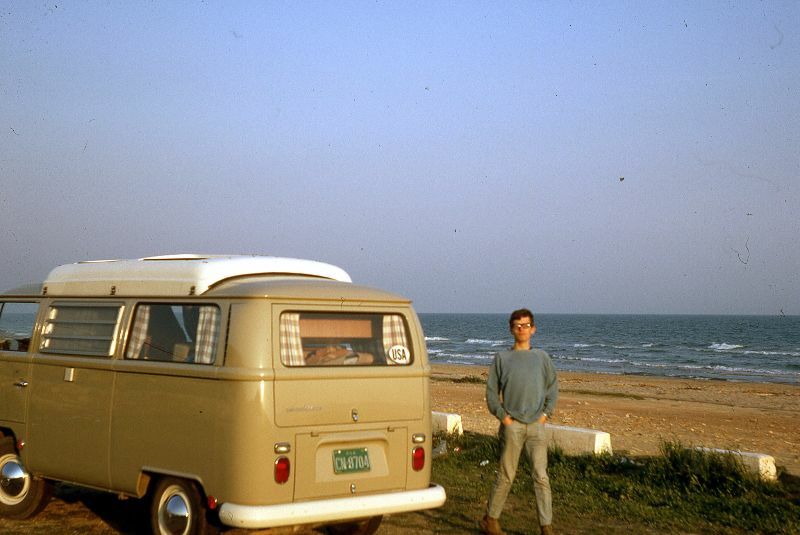 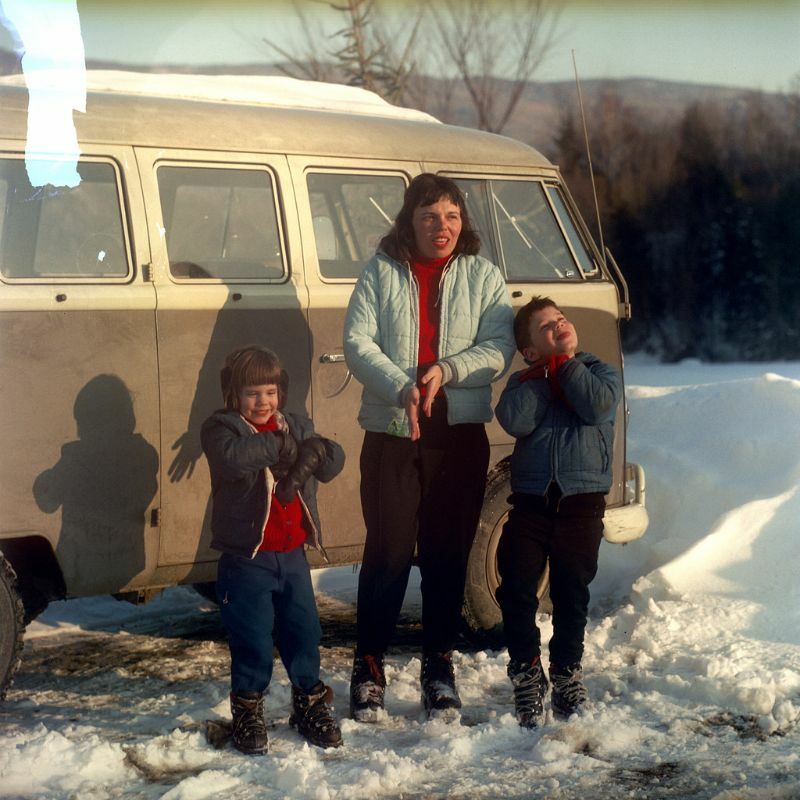 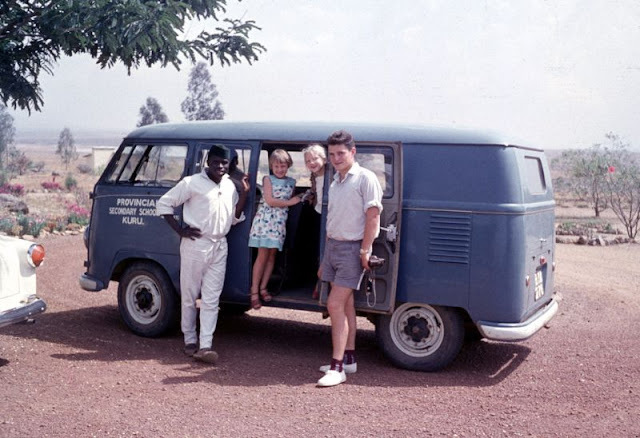 Check out these amazing photos to see people with their VW buses from the 1960s.